Rempfer waited until he was back home to unwrap the objects. When he did, they turned out to be rolls of black and white 35mm film. Holding the filmstrips up to the light, he saw uniforms, barracks, guard towers — and men in costume onstage. Assuming the pictures must have been taking during the filming of a war movie, and the men in them to be actors, Rempfer set the box aside and forgot about it. Rempfer looked for some clue as to where the pictures might have been taken. One showed a truck with several men seated on its bed. On the back of the truck, Rempfer made out the words “PW CAMP MURNAU” in white letters, then the letters “PL.” A little research showed that from 1939 to 1945, the German town of Murnau was the site of a prisoner-of-war camp for Polish officers. Father and son studied the photographs closely and with fascination. “All these young men looked right at us through the camera, during the time they lived in the camp,” Alain Rempfer said. “And we don’t know their names or what their daily life was like there, we don’t know anything about their hopes, their feelings.” It was a strange experience as if someone had turned off the sound and left him watching a silent film. The father and son decided a website would be the best way to show the pictures to the world. They hoped the images would reach anyone who might be interested in them, but especially family members of the former prisoners of war who might be looking for information, or might recognize someone in the photographs. 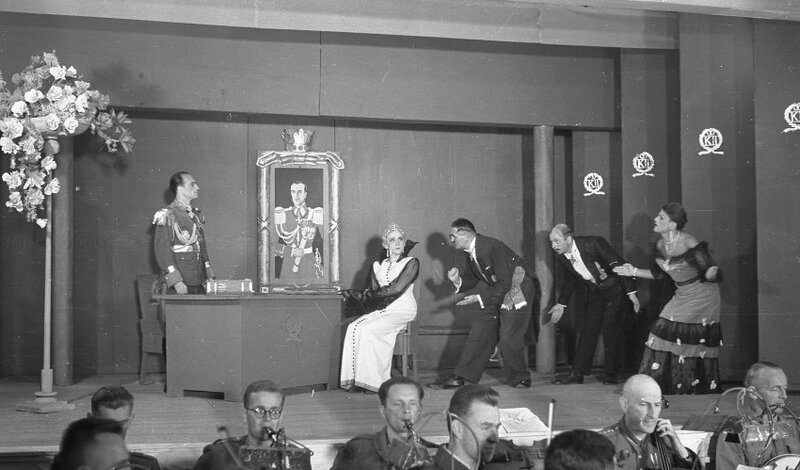 The Polish officers imprisoned in Murnau were allowed to put on plays and operettas as entertainment. Since there were no female inmates at the camp, men took on the women’s roles in drag, apparently having much fun with it. 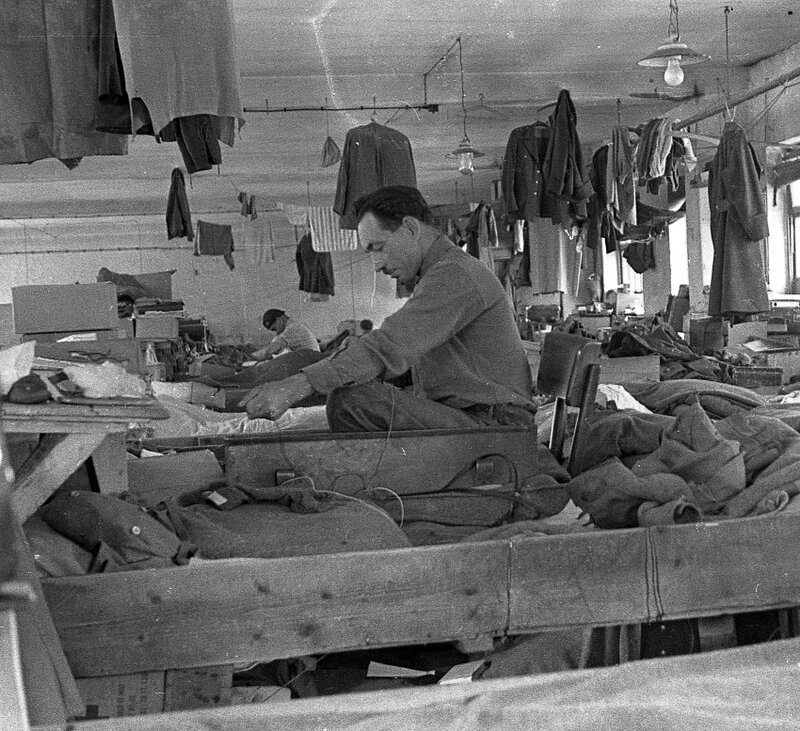 The eyewitness Tom Wodzinsky, who got in touch with the Rempfers after the publication of the pictures, said this photo likely shows the accommodations for junior officers and regular soldiers in blocks E, F, G, H and K in the camp. 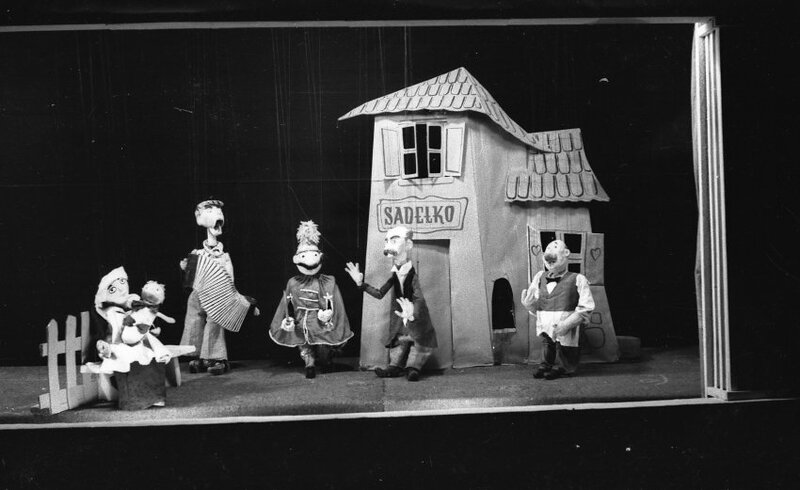 A scene from a marionette theater. An orchestra was also part of the officers’ camp Oflag VII-A in Murnau. 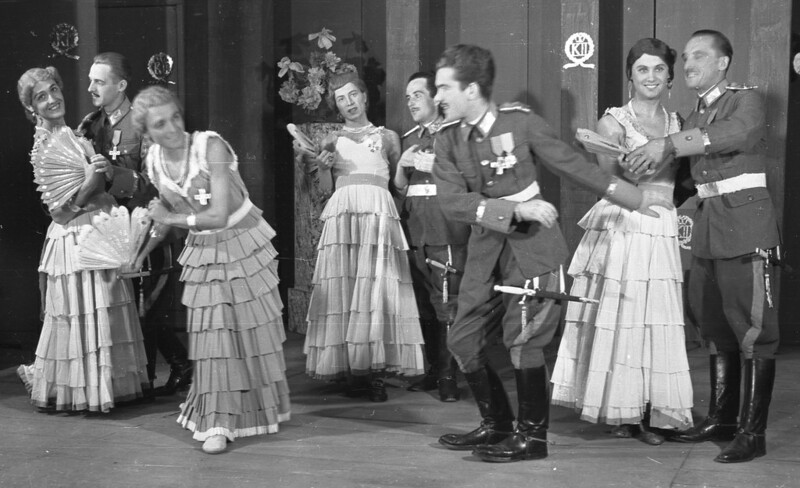 The officers’ audiences were composed of German soldiers at the camp, who occasionally brought their families with them to the shows. 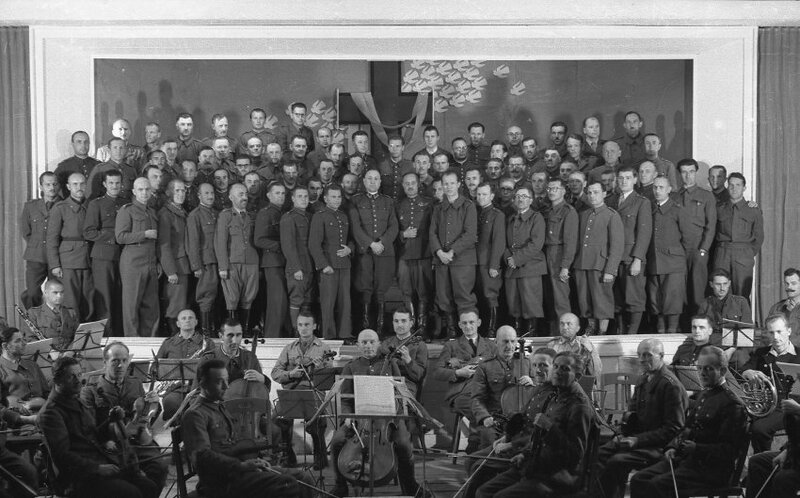 A group of officers poses on the stage of the camp theater, with the orchestra in the foreground.